I wasn’t joking when I said I was spoiled for my birthday this year. This is a cowl that my sister-in-law, Dorothee, knit for me for my birthday! Isn’t it stunning?? 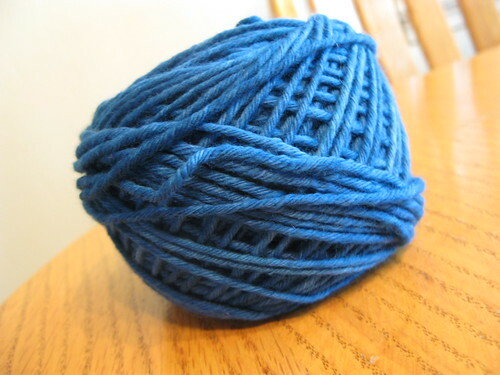 She’s an amazing crocheter who just started to knit recently and she’s picking it up like a pro! Check out her blog. 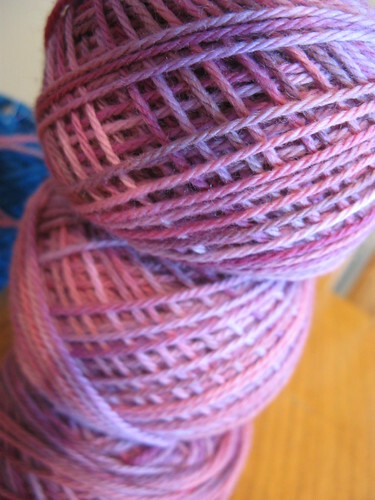 The yarn was hand spun by Quilt Otaku and was the star of the white elephant gift exchange at our knit night. I’m so glad I didn’t win it now because I don’t know if I would have knit something up as lovely as this. 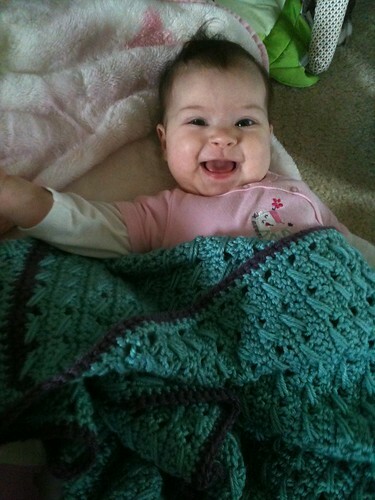 Dorothee also crocheted this baby blanket that features the same stitch that was in a blanket my grandmother made for me when I was a baby. So sweet!! My daughter loves it. 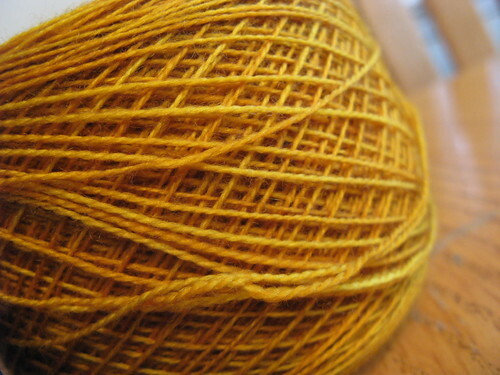 I also received some gift certificates to Green Planet Yarn. And they just had their “make your own sale” sale. I pulled a 20% off chip this time, but have pulled a 40% off chip twice before. 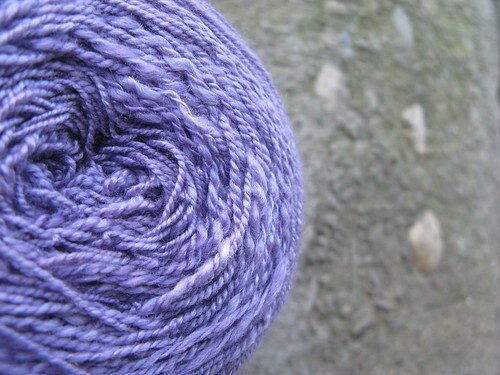 And this is what I got… Malabrigo, Madeline Tosh Lace, Lorna’s Laces Greenline Oh MY! 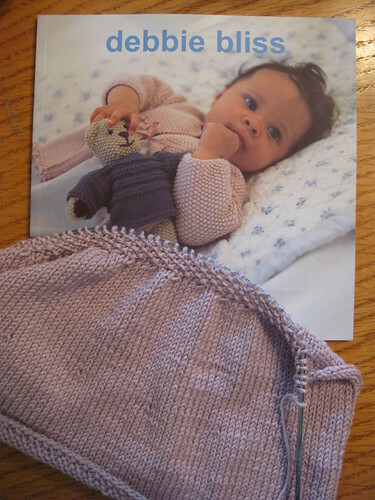 And I grabbed this cute pattern book by Debbie Bliss and started a little cardi for Sophia to wear at easter. I don’t think I’m goign to finish in time though. I got all this yarn and only paid $7 bucks after my gift certificates! So… yeah, I’m spoiled!! Thanks everyone!! 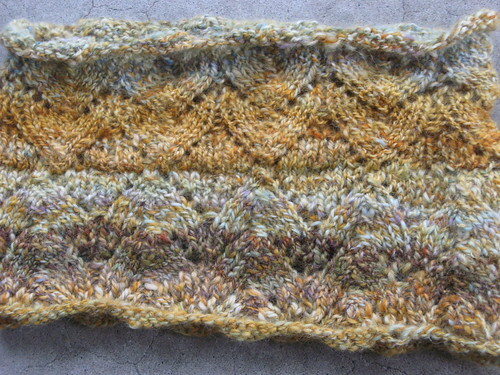 I better get started on Dorothee’s cowl now! !